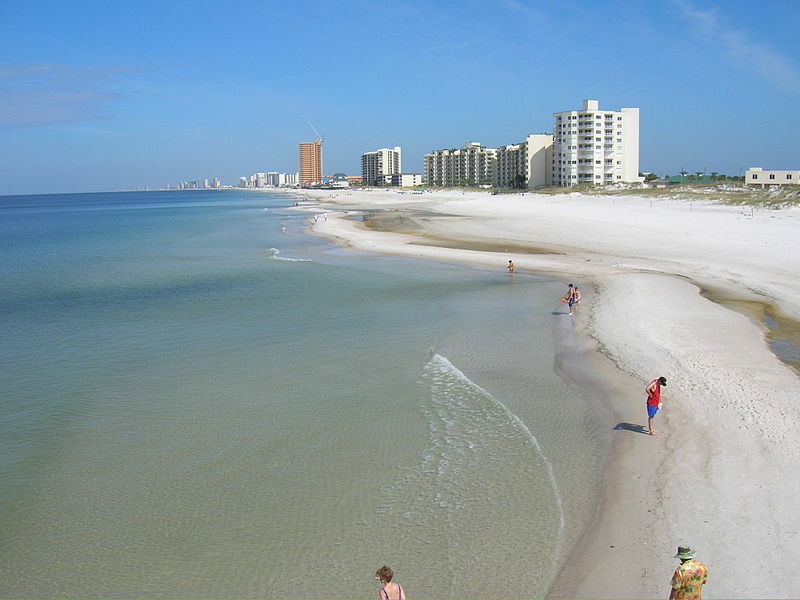 Panama City Beach, Florida is a city in Bay County, Florida known for its white sand beaches and clear, emerald waters of the Gulf of Mexico and Saint Andrews Bay. As of 2010, the U.S. Census had the population of the city at 12,018 people. The city is a popular vacation spot for people in the southern United States and among college students during their winter break. This page was last modified on 15 December 2018, at 11:52.